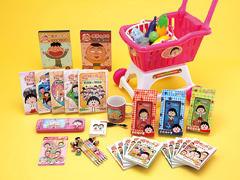 Our programs-including the widely accepted, "The Classic Family Theater Series"-have generated many adorable characters, such as Rascal and Chibi Maruko Chan , which are ideal for licensing and merchandising exploitation. 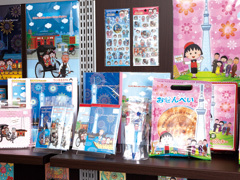 In cooperation with our longtime licensees, we continue to create quality character goods. Our characters are also used as company images in TV commercial films, magazine and newspaper advertisements, and posters. 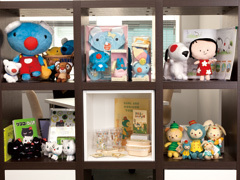 NIPPON ANIMATION regularly holds promotional events for our characters, where we sell character goods and organize game shows. We also demonstrate animation artwork at these events. This creates a close link between TV broadcasting and merchandising exploitation. NIPPON ANIMATION manages "The Rascal Club"- consisting of more than forty domestic licensees-to promote our characters and licensed products. 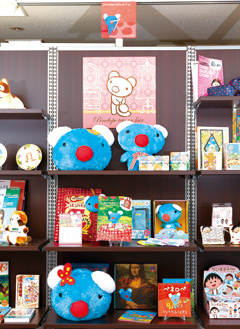 The Rascal Clubs activities include promotional events, special sales corners at department stores, and active participation in the Tokyo International Gift Show and the Tokyo International Toy Show. 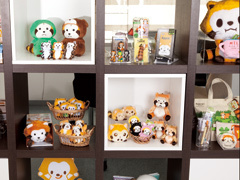 NIPPON ANIMATIONs domestic licensing operations are managed by its Merchandising Department, which is located in the companys head office annex in the central Tokyo district of Ginza. Uhb Building, 11-14, Ginza 7-chome, Chuo-ku, Tokyo 104-0061, Japan.